Some folks seem to naturally choose the perfect gifts to give. I’m not one of them. I can’t seem to give the right gift in everyday life. While on vacation recently I was in a pastry shop and purchased a surprise for my dear wife. It turns out she doesn’t really like apple turnovers. That’s not and indictment of her, but a reflection of my incompetence. As a “gift giving impaired” person gift cards are an option. But, honestly, I don’t really like receiving gift cards, so why would I give them? As Christmas approaches it’s easy to let our activity and the acquisition of the “perfect gift” blind us to God’s “indescribable gift” already given for us to receive. Paul declared, “Thanks be to God for His indescribable gift” (2 Corinthians 9:15). This indescribable gift is a reference to Jesus Christ. Christmas is, after all, the celebration of the gift of Jesus—“For God so loved the World that He gave His one and only Son…” (John 3:16a). We at least intuitively acknowledge the reality of Jesus at Christmas. Increasingly many people in our society ignore Him altogether. Tolerance or total rejection of Jesus leaves people in the same place—resisting rather than personally receiving the “indescribable gift” of God’s Son who offers us pardon, peace with God, purpose and permanent life starting now. God gave His Son, “…that whoever believes in Him should not perish, but have eternal life” (John 3:16b). Receiving God’s gift means recognizing that we are rebellious and deserve His wrath, and that only through believing that Jesus died and rose again to pay the debt we owe will we not perish, but live eternally. 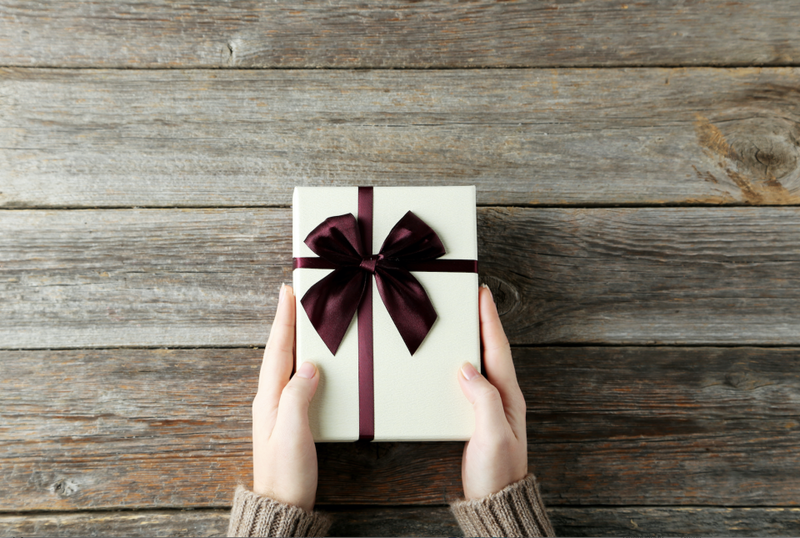 The “perfect gift” is not one we give, but one that God has already given. He invites us to receive and not reject Jesus. “Come to me all you who labor and are heavy laden and I will give you rest… rest for your souls.” (Matthew 11:28). Merry Christmas, and may we not wait to receive and share the perfect gift.